Home health How to Stay Healthy During Pisces Season, According To Astrology. How to Stay Healthy During Pisces Season, According To Astrology. When in the year, the Sun passes through the horoscope of Pisces sign and this sign is known to bring artistic and emotional qualities. It is said that in wellness astrology, the aspects of our physical framework and physiology correspond to the twelve zodiac signs. The sets of physical anatomy related to Pisces include the feet, immune and lymphatic system. To acknowledge the strength and vulnerabilities linked with Pisces in wellness astrology, there are some fun ideas to practice new health practices. Here are some healthy tips that can help you to regain strength and energy. During the Pisces season, we daydream about uncertain wishes and our mind remains on cloud nine for no reason. Instead of making the feet firmly fixed on the ground, we keep on dreaming high even during the day. In this way, we don’t think about our gentler toes and as a result, we get bruises on our feet. Especially ladies to whom stilettos seem to be fashionable but hurt their feet when they have cracked heels. For repairing your ruptured toes, you may avail myrrh, if athlete’s foot bothers you then you may use tea tree. And you may even use peppermint for tired tootsies. Inability to sleep properly or owing to the difficulties of that like an insomniac person you might feel crabby and exhausted. So the best advice is to take proper sleep for six hours at least. Astrological facts have suggested that Pisces governing planet is Neptune and to make it strike a perfect balance in life, peaceful mind is needed. One should avoid tablets, computers, phones and other light emitting devices before you switch to a bed. Relax by taking the bath with water filled with lavender and chamomile. Even after then, your head is occupied with worries, then take the help of flower essences such as white chestnut, vervain and other that can help your sleep blossom. The season of Pisces is usually regarded as the duration when a person generally feels euphoric, reminiscent and daydreams about the various aspects of his life. While having your meal, chew the food well and pay attention to the taste because if the digestion system works fully, there will be filling with betterment inside you. When we suffer from traumatic pain, emotional afflictions then we think to pour ourselves down with alcohol as it offers escapism from the present world. Though its effect does not last forever and our painful emotions re-arise again. Drinking liquor excessively causes liver problems and many of them are not curable, don’t we all feel that there is a reason to live? Try to water your mouth by having few ice-teas and if doesn’t work as a substitute, then try getting some mocktails. In your daily diet, add the place for more seafood. 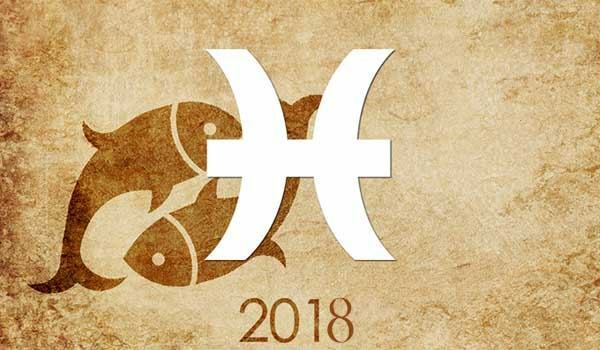 Grab few pieces of the Fish totem as it represents the Pisces symbol, it also indicates that the abundance of ocean helps in giving nourishment and it is a sourced seafood. You may also think of having sea vegetables like Morsi, dulse, kombu as these vegetables are edible and are loaded with sufficiently rich minerals. Apart from it, you may also add salt to your meals. If you are trying to add sea-salt then you must be aware that it is created without the usage of anti-caking and other chemical seasonings. Salts like French fleur-de-sel, pink Hawaiian and pyramid shaped Balinese will make your food salty and edible too eat. If you glance at the crystals of sea water then you may notice that they are aesthetically beautiful.